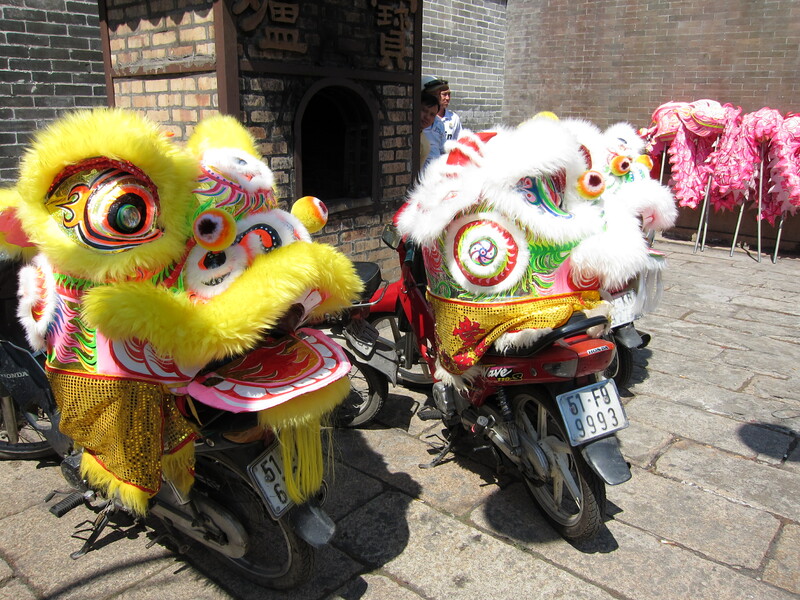 Lion dances are a traditional part of lunar new year celebrations. 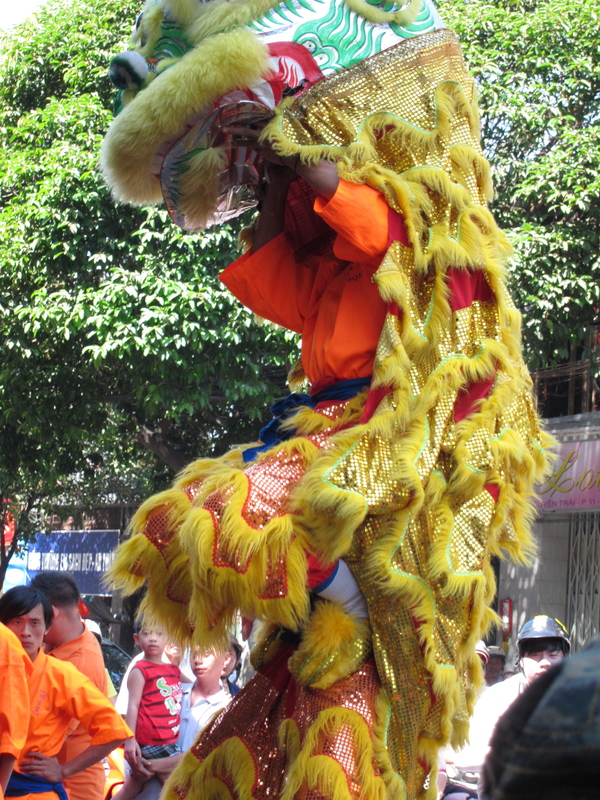 They originated in China but are now performed throughout Asia, including in Vietnam. 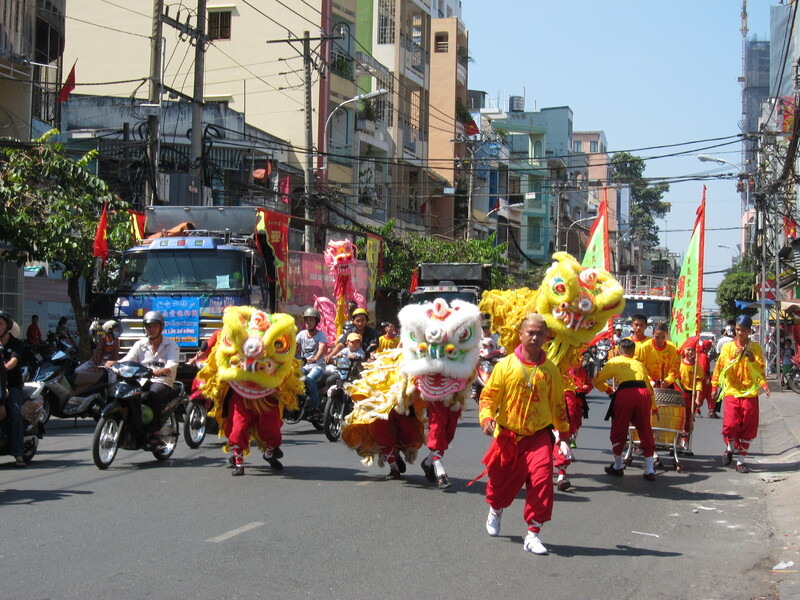 I saw several along the street, in front of shops and in temple courtyards while I was walking around Chợ Lớn, Ho Chi Minh City’s Chinese neighborhood. 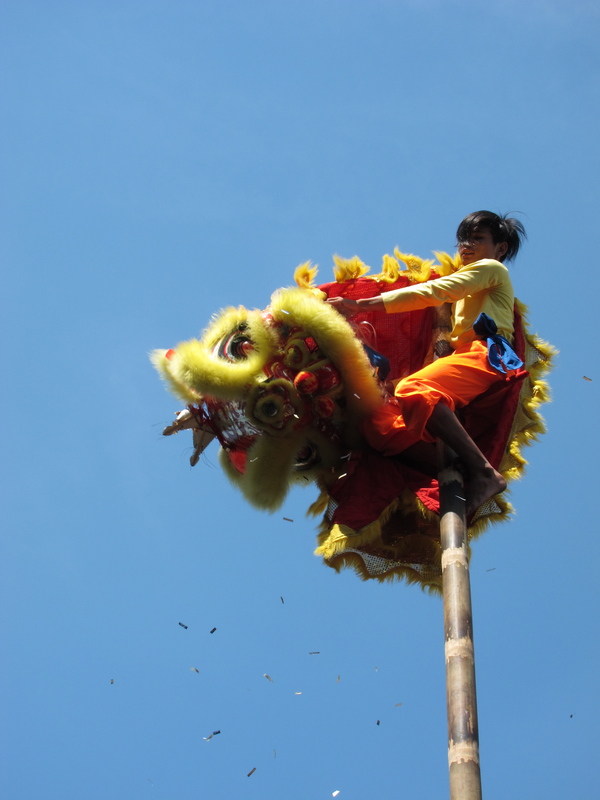 Lion dances, which involve one person acting as the head and one as the rear, are acrobatic and some of the movements are shared with Chinese martial arts. 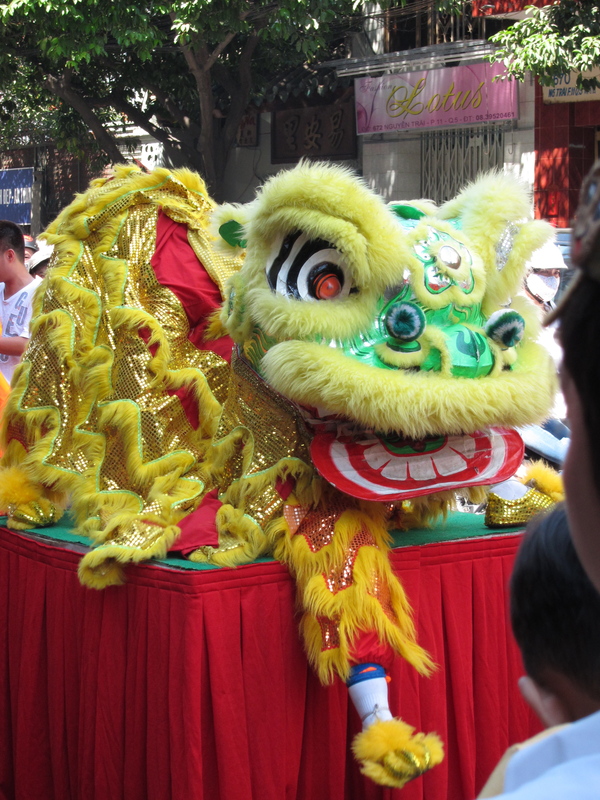 The purpose of a lion dance is to bring good luck and drive evil spirits away for the new year. 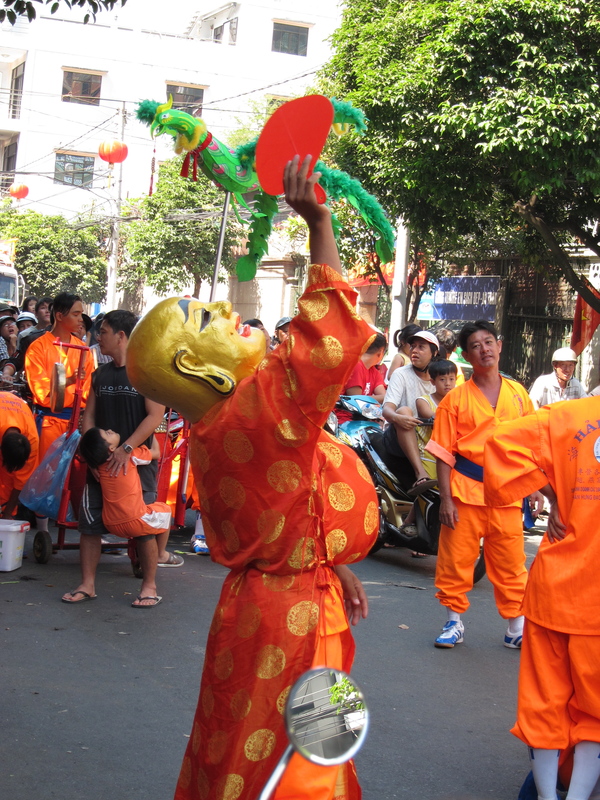 Good on you for experiencing Tet in Vietnam instead of fleeing to Thailand like the rest of us! Well, I only stayed for one extra day. But the lion dances were worth it.